Mark Twain in Outer Space is a comic space western featuring a not-so-innocent abroad. It also offers a serious reflection on the universality of storytelling, and the dangers of getting carried away with the sound of one’s own words. 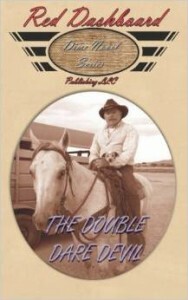 The Double Dare Devil features Skip Eubanks, an old cowboy-turned-stuntman who is paralyzed after a fall from a helicopter. His wife Bonnie now runs the business, but something very sinister is happening to the stuntmen she supplies to the studios. 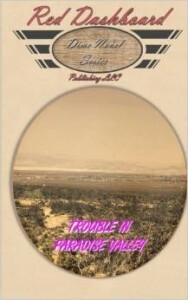 Trouble in Paradise Valley tells the story of a big budget Hollywood production that somehow survives star egos, several rewrites, and its own faulty premise. But how long can it last when it intrudes onto a site once sacred to Hohokam skywatchers? 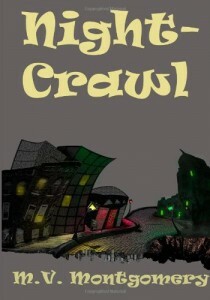 Mad scientists, ghouls, and zombies. A wild boy who evades capture, and a disgruntled student who morphs into a cat creature. 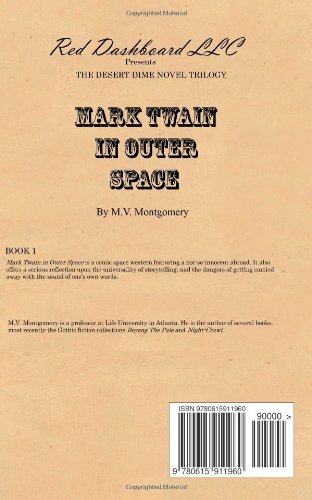 A mild-mannered narrator who suddenly finds himself captured by a nomadic warrior-woman, or sent on a wild flume ride through a mansion, or facing the world-turned-violent of a video game. These are some of the strange occurrences found in M.V. 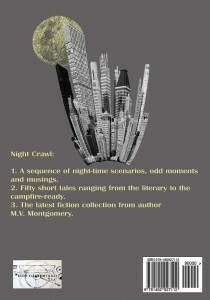 Montgomery’s imaginative new fiction collection, Night-Crawl. 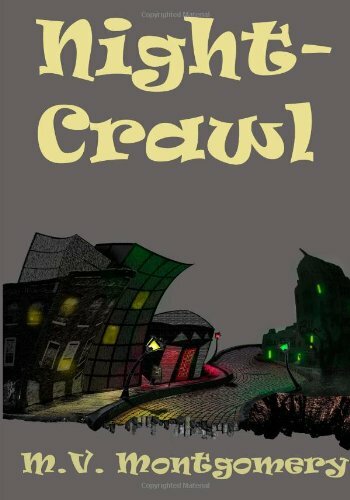 It contains fifty short tales ranging from the campfire-ready to the avant-garde, and will appeal to fans of Gothic fiction, movies, comic books, and the fantastic. M.V. 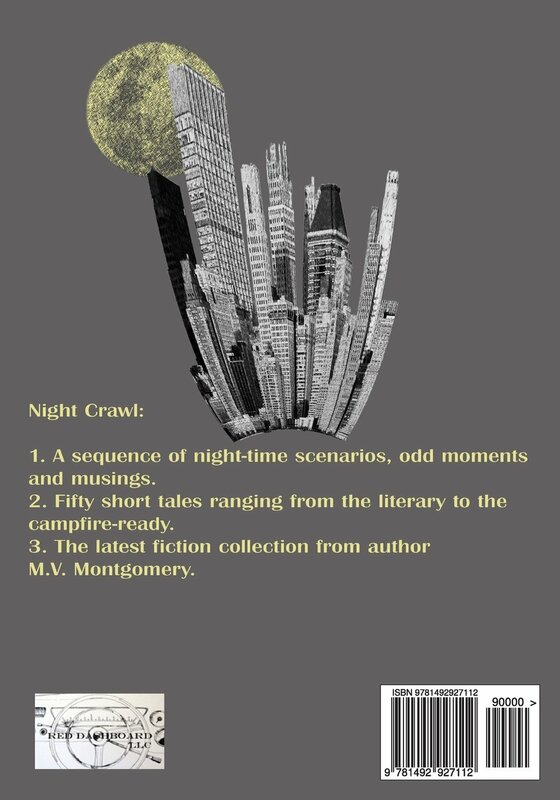 Montgomery is a professor at Life University in Atlanta and the author of several books, including Night-Crawl, a short story collection available through Red Dashboard L.L.C., and A Dictionary of Animal Symbols, a poetry collection to be released by Winter Goose Publishing in March 2014. 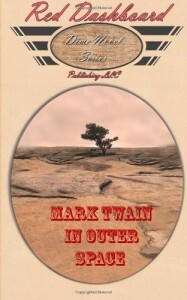 Mark Twain in Outer Space is the first chapbook of his Desert Dime Novel Trilogy, which will also include The Double Dare Devil and Trouble in Paradise Valley.